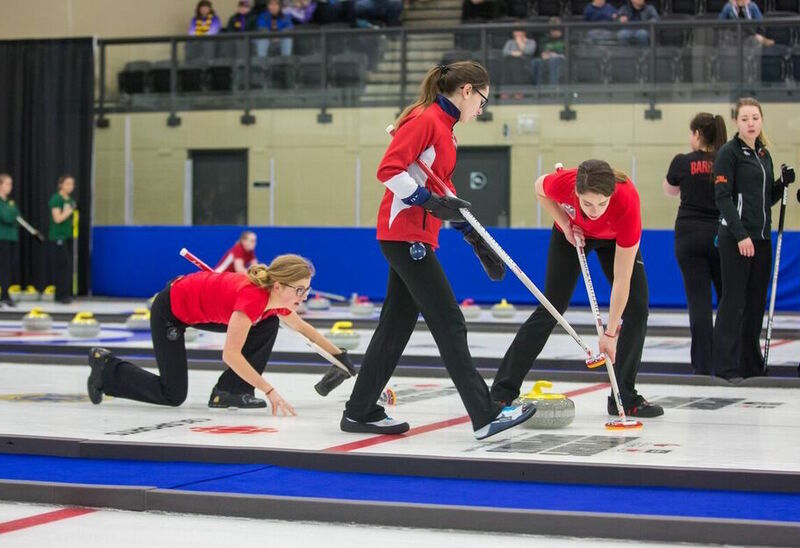 The Brock Badgers and Thompson Rivers WolfPack jumped atop the women’s standings, while Alberta, Winnipeg, and Waterloo all hold a share of first place in the men’s standings following the conclusion of Day 2 of the 2018 U SPORTS / Curling Canada Curling Championships. The WolfPack earned a pair of decisive wins on Sunday to improve to 3-1, knocking off the Badgers 8-2, before earning their third win of the tournament with an 11-6 win over the Memorial Sea-Hawks. 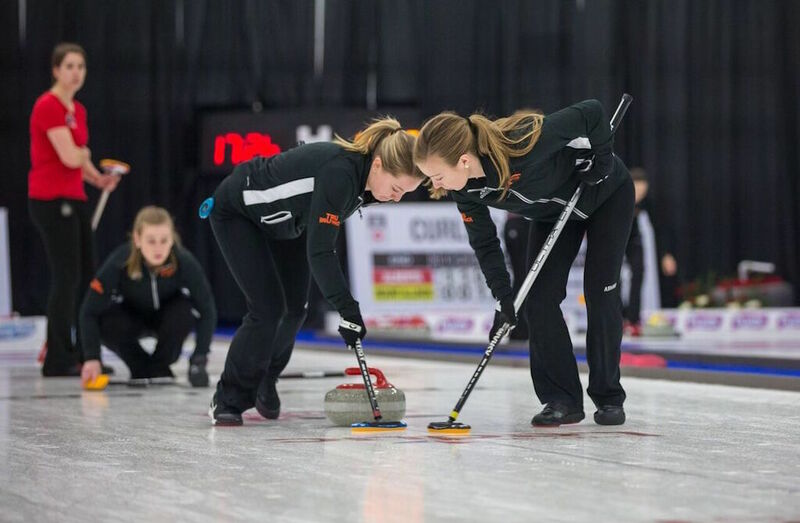 The Badgers finished their second day with a Draw 4 win over the Laurier Golden Hawks (10-5), to remain in a tie with Thompson Rivers for first place. 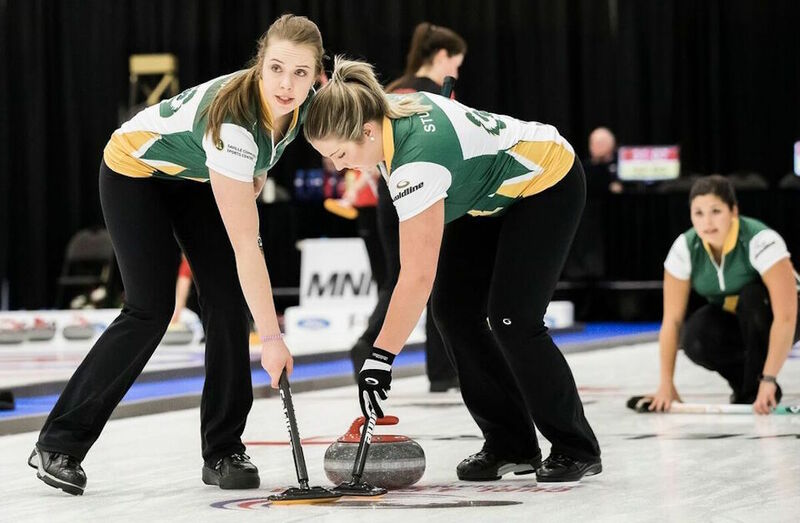 The Alberta Pandas, who entered Sunday with a 2-0 record, suffered a pair of tight losses to drop them in the standings, falling to Mount Allison 9-6 in 11 ends, before a 7-6 loss to Queen’s in Draw 4. On the opposite end of that spectrum, Queen’s jumped back into contention with two wins on Sunday, as they join the Pandas, Mount Allison Mounties, and Golden Hawks with 2-2 records. The men’s competition didn’t get any clearer on Sunday, as six of the eight teams in the field still remain within one game of first place. The Waterloo Warriors and Winnipeg Wesmen each earned a pair of wins, both jumping into a tie with the Alberta Golden Bears for first with matching 3-1 records. Winnipeg opened with a thrilling 5-4 victory in 11 ends over Dalhousie, before cruising past Brock with a 9-5 win. Waterloo, meanwhile, snuck past Regina 8-7 early on Sunday, then improved to 3-1 with a comfortable 9-4 win over UNB. After leading the standings as the only undefeated team left after Day 1, the Golden Bears suffered their first set back of the championship with a 7-6 loss to UNB, before rebounding with a 10-4 win over the last-place Regina Cougars. Dalhousie, UNB, and Brock all still remain just one game back of the trio of teams in first place with 2-2 records. Day 3 sets up to be an entertaining and important set of games on both sides of the tournament standings. 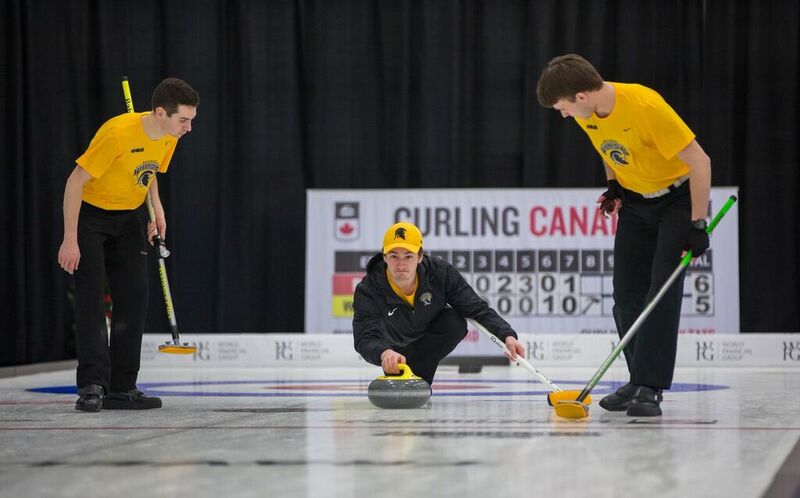 The Golden Bears will play Winnipeg and Waterloo, with both games having the potential to determine who finishes atop the men’s standings following the round robin. For the women, Brock opens with a match against the 1-3 Memorial Sea-Hawks, before taking on the surging Queen’s Gaels. Thompson Rivers, meanwhile, gets 2-2 Laurier and 1-3 Regina. 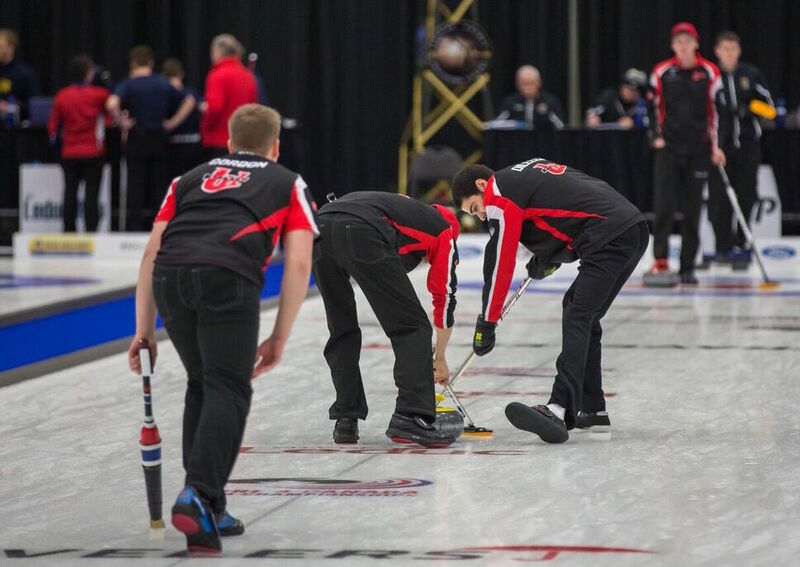 Draw 5 of the 2018 U SPORTS / Curling Canada Curling Championships gets underway at 11:00 a.m. ET / 8:00 a.m. PT on Monday at the Leduc Recreation Centre.